Every year, thousands of “BOIL WATER ADVISORIES” are issued in cities throughout the U.S. These “alerts” or “advisories” are issued when there is the actual or strong possibility of bacterial contamination in the drinking water. When the threat is large, like widespread contamination and power outages after a hurricane or even when the threat is small, city governments and municipal water suppliers must inform the public of the potential danger. UPDATE: On October 22, 2018, more than 1 million residents of Austin, TX were advised to boil their water.The city took these steps as a precaution while the city utility crews work to stabilize the water treatment system. Corpus Christi, TX experienced a similar situation after two sites tested positive for bacteria. Water treatment plants quickly made efforts to treat the water, but the newly-treated water took 4-5 days to reach parts of the city, which meant many businesses were impacted for more than a week. To ensure destruction of all harmful bacteria and other microbes, water for drinking, cooking, and making ice should be boiled and cooled prior to consumption. The water should be brought to a vigorous rolling boil and then boiled for two minutes. In lieu of boiling, you may purchase bottled water or obtain water from some other suitable source. As can be expected, grocery store shelves in Corpus Christi quickly emptied of household bleach (another disinfection method) and bottled water. Going without clean tap water for more than a week is a major headache for households. But the headache is magnified for businesses! And this is the city’s third boil water advisory in the last 10 months. Boil advisory precautionary measures can be time consuming and costly. Every time an advisory is issued in a city, hundreds of restaurants and businesses in the food handling industry go to great effort and expense to ensure they do not put the public at risk. A study conducted by the University of Missouri, found that water service disruptions can cause business losses ranging from $100 to $400,000, and that, “Some food and beverage establishments required significant steps to ensure food safety, while others opted to close for the duration or for a portion of the disruption. Restaurants, schools and businesses must sanitize all surfaces and machinery used for food preparations. For example, in the Corpus Christi incident, the local school district quickly acquired bottled water for students and staff at the seven campuses that were impacted by the advisory, and brought in cafeteria food from an off-site preparation location. One Corpus Christi coffee shop went to great lengths to keep their doors open by shipping ice in all the way from Dallas and by using bottled water to prepare food and beverages for customers. A recent water main break in St. Johns County, FL left 37,000 people with a Boil Water Advisory. Florida’s Health Department issued statutes to be observed by Florida’s Food Industry during a boil water notice, and the list of statutes is not a short one. When two million residents in the Boston area were under a boil water advisory in 2010, The U.S. Food and Drug Administration (FDA) issued an emergency guideline to food makers telling them to stop water use while the boil-water advisory is in effect or heat treat/filter the water prior to use. Install a water treatment system that can kill waterborne bacteria and viruses. Purchase water and ice outside the boil water advisory area. Freeze food to kill bacteria. This EPA memo states that water in frozen food does not pose a risk if the food has been frozen for 7+ days at 5-14 degrees Fahrenheit or for 24 hours at -4 degrees Fahrenheit. Boil water for 2 minutes to kill potential bacteria. So what does a restaurant, school, food processor or any business in the food handling industry need to do when a boil water advisory is issued?  All equipment that processes or uses water should be thoroughly cleaned and sanitized. If you own a reverse osmosis or other filtration equipment, sanitize the system.When cleaning and sanitizing this equipment, owner's manual care instructions should be carefully followed. Sanitize water coolers as water coolers ;generally operate on reverse osmosis (RO) technology and and RO systems cannot filter or treat waterborne virus, bacteria and other microbiological contaminants. How Does a Business Continue to Operate During a Boil Water Advisory? If a restaurant or business does not have a way to effectively treat water, they may have to temporarily shut down at great monetary loss, until the water issue is resolved. So how does a business continue to operate? There are a number of effective methods for general water treatment and filtration. But standard water treatment equipment, such as ion exchange and reverse osmosis, cannot protect against waterborne bacteria and virus which are customarily the culprits in a water boil advisory. Ultraviolet (UV) water purification systems are widely considered to be the most effective method to ensure the destruction of harmful bacteria and microbes. In simple terms, UV technology uses ultraviolet light to clean the water. UV disinfection systems can destroy 99.99% of harmful microorganisms (including E. coli and coliform bacteria) without the use of heat or chemicals, and can purify hundreds of gallons of water per minute. After installation, an ultraviolet system can supply contaminant-free drinking water for a home, a restaurant or for manufacturing processes. UV systems are available in a variety of sizes and for a number of applications including residential and commercial. UV systems are safe, clean, simple to install, require very little energy, and are easy to maintain. For a business, the ROI on installing UV equipment could potentially be realized with one boil water advisory. Millions of businesses and households use UV technology to provide clean drinking water each and every day. Be prepared for the next boil water advisory. Eliminate risk: ultraviolet (UV) technology is engineered to give you peace of mind. Please contact us to learn more about which UV system is the right match for your application.